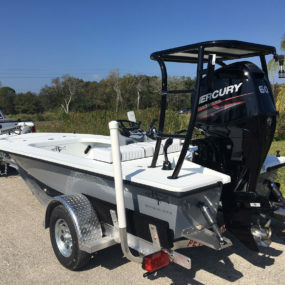 When I decided to sell my custom flats boat and transition into a nimble, technical poling skiff I knew exactly what I wanted—something that would float extremely shallow, be easy to operate and pole, and allow me and a buddy to fish new, unpressurized places. 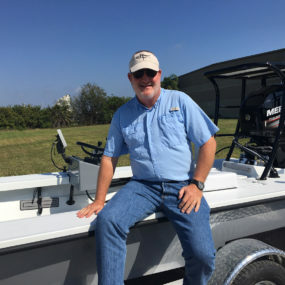 As a retired guide and a professional writer for several national fishing and boating magazines, I have fished on dozens of makes and models of skiffs over the last two decades. After extensive comparison shopping followed by a visit to the factory to meet Will and Elizabeth Leslie, I decided to buy a Beavertail Mosquito. I couldn’t be happier with my choice. It is everything that I expected and much, much more. Liz and Will were an absolute pleasure to work with, from the initial order to after-the-sale service. I was kept informed on the build progress from start to finish with updates and photos. Both offered thoughtful suggestions for options and rigging. 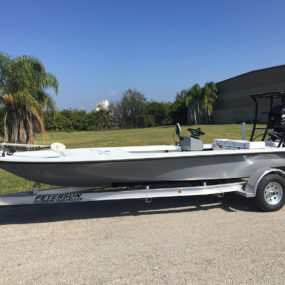 My skiff was washed, ready and waiting for me on the day it was promised and Will did a complete briefing on the systems/operation before handing over the key. 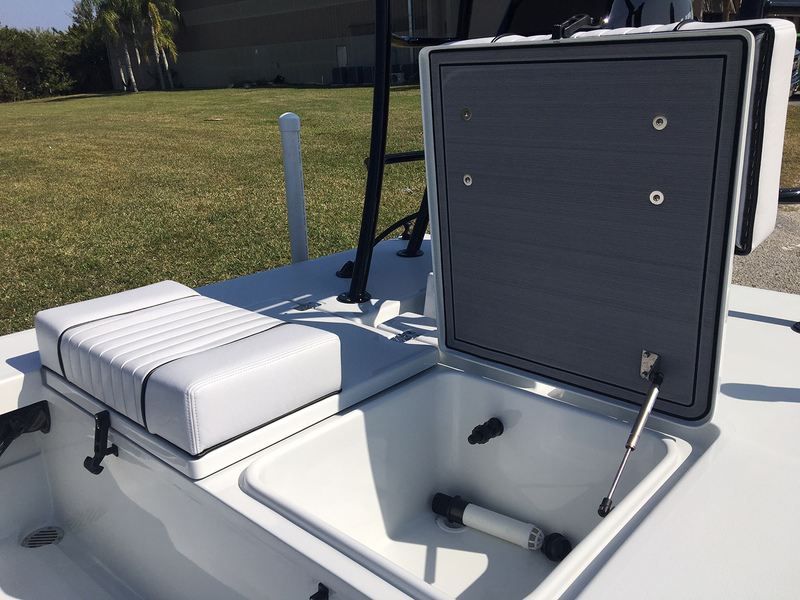 The fit and finish are top-notch and only high-end components and materials are used in the construction. For the quality and workmanship, the price of the Beavertail is an exceptional value compared to other builders. My Mosquito performs like a thoroughbred too. I have ridden through two-foot chop without feeling a drop of spray. The ride is soft and sure without pounding. 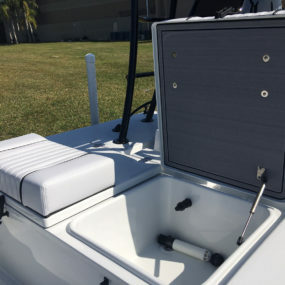 This skiff is extremely quiet, very stable, poles like a dart and floats in spit. 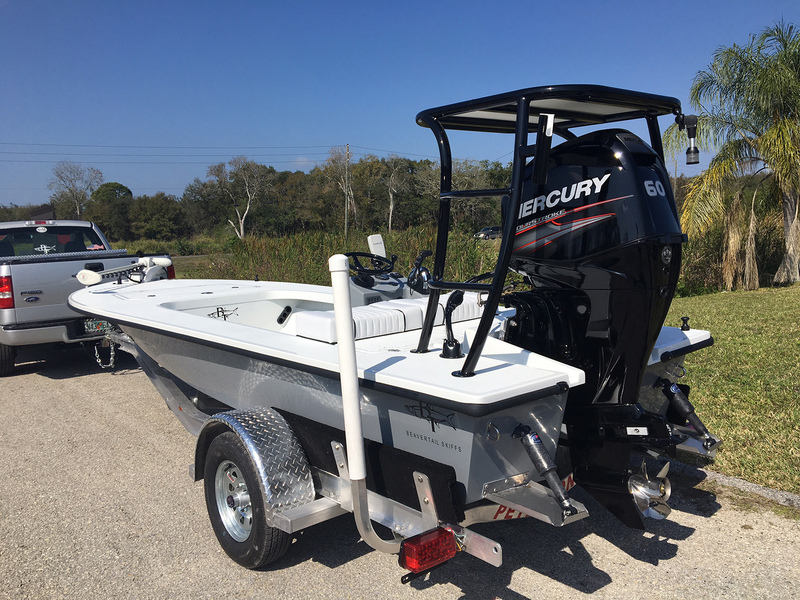 My choice of a Mercury 60-hp EFI four-stroke is the ideal match with an impressive hole shot, an easy cruise of 30 miles per hour and miserly fuel economy. I can hit the upper 30s at wide open throttle with a stainless four-blade propeller. The Mosquito side console layout is extremely functional with a roomy cockpit, spacious casting deck, good storage and a well-equipped live well. At the ramp, I constantly receive admiring compliments. And I really feel the dumbfounded stares when I’m able to slip into the backcountry long before anyone else. 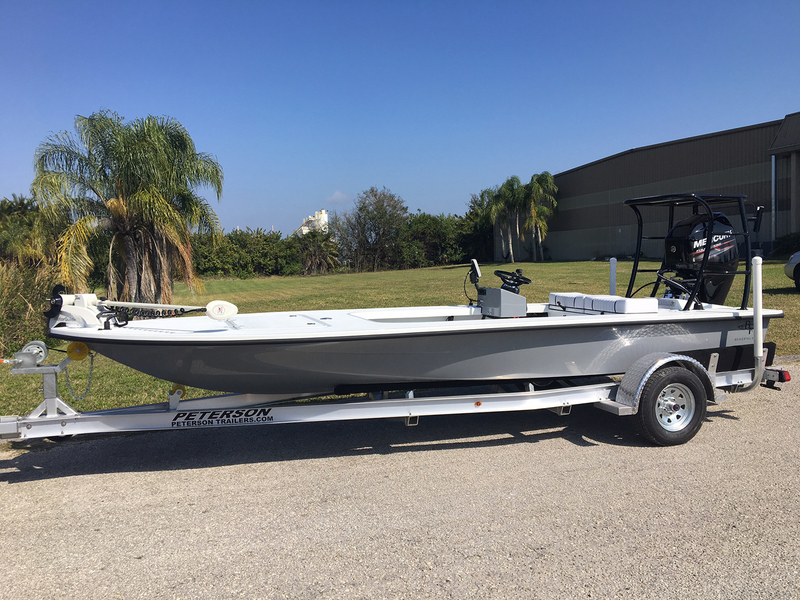 Flats boats are a specialty craft and micro skiff models like the Mosquito take that refinement a step beyond. If you are a fanatic about slipping silently through the shallows in search of elusive, wary game fish like I am, give the Mosquito a long careful look. 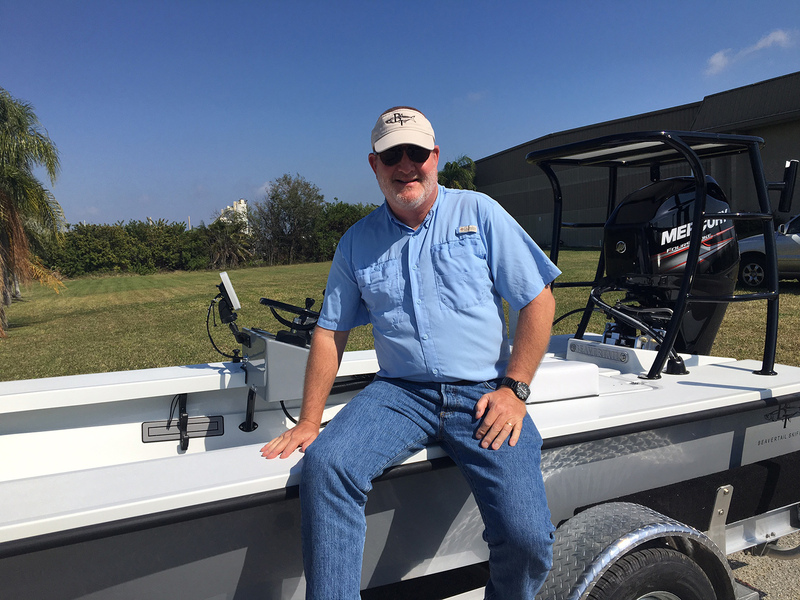 As I’m reminded daily, there are tons of reasons why it is THE best skiff in its class!